With 24 years of trusted experience in the industry no need to look any further for a full selection of guide ons, guide polls, parts and accessories to meet all your boat trailer needs. We offer Galvanized and aluminum parts, custom hardware to meet your exact dimensions, kits and CE Smith complete with universal mounting hardware. 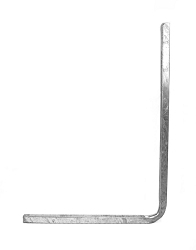 We offer a wide range of Boat Trailer Guide Ons and Pole Hat Brackets for V-bow guides and guide posts in both aluminum and galvanized. Boat Trailer V-Guides to help safely guide your boat and offer additional support for the bow. 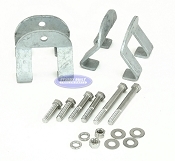 In addition you will find Boat Trailer Guide Pole Sets and Guide Post Kits, both in aluminum and galvanized. 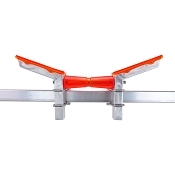 They are ideal to have on all types of boat trailers to assist with loading your boat safely. With a wide range of Boat Trailer Guide ons and other boat trailer needs we are the go to resource for all of your boating needs. With friendly helpful customer service we are more than happy to help you get the boat trailer guide ons and other parts and accessories you might need. 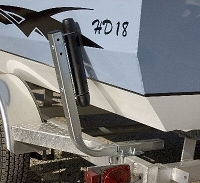 Check out this full selection of guide ons, guide poles, and accessories for your boat trailer. We have Galvanized and Aluminum components to complete or replace to make your boat trailer as functional as possible. We have allot of options for your boat trailer. Below you will see several different styles of Guide Poles. We have Boat Trailer Guide Pole Kits from CE Smith that include mounting hardware. We also have Custom Guide Pole Kits that do not include hardware, but have custom hardware available to custom fit your trailer frame. For the Custom Guide Pole Kits that you see with (2) Guide Poles, (2) PVC Poles and Caps, we offer 1 1/2" Hat Brackets, U-Bolts, and Bolts to help outfit your exact Frame Dimension. It would be ideal for you to know your frame dimension so that you can select the correct size for the mounting hardware you need. CE Smith Guide Pole Sets come with Universal hardware to work for most frame Heights and widths.